Home Unlabelled Witch Way Candy??? Hi crafters! Monica here sharing a toilet paper mini I made today using My Favorite Things: Witch Way is the Candy?. 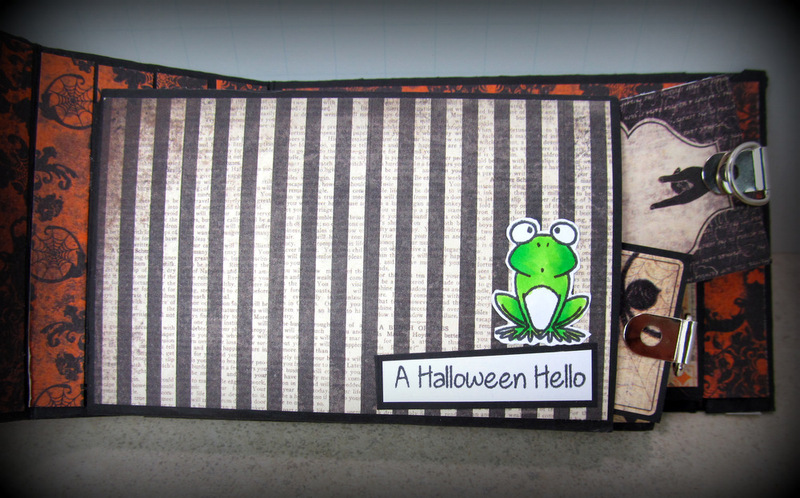 I am bringing Halloween in a little early with my Halloween papers and stamp, but I really love orange and black! I boxed my mini using some old cardboard from a cereal box, covered it with some black paper, and then used some Halloween papers from Authentique. 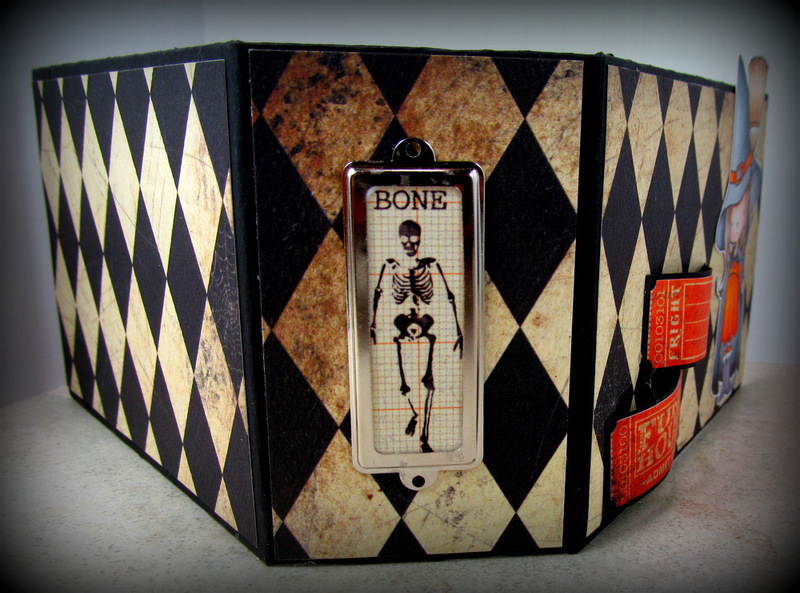 I used X-Press IT blending paper and Tuxedo Black ink from Memento to stamp the images on and colored everything Copics. To celebrate their new design team, MarkerPOP! will be having a Giveaway EVERY DAY THIS WEEK on each designer’s posts! All you have to do is leave a comment here at the MarkerPOP blog, then click HERE to go to my blog, and leave another comment there. 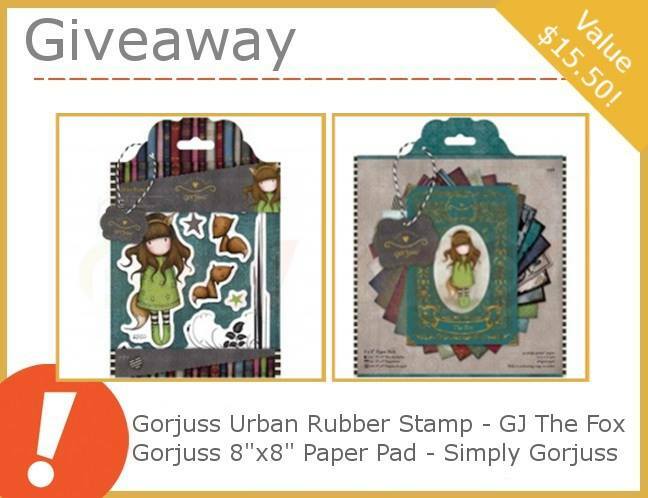 That gives you two chances of getting this adorable stamp set and paper collection! You’ll have one week for each Giveaway, so for THIS one, you’ll have until Tuesday, September 15th, at noon Central time, to leave your comments. LOVE your cute cute creation Monica!!!!! 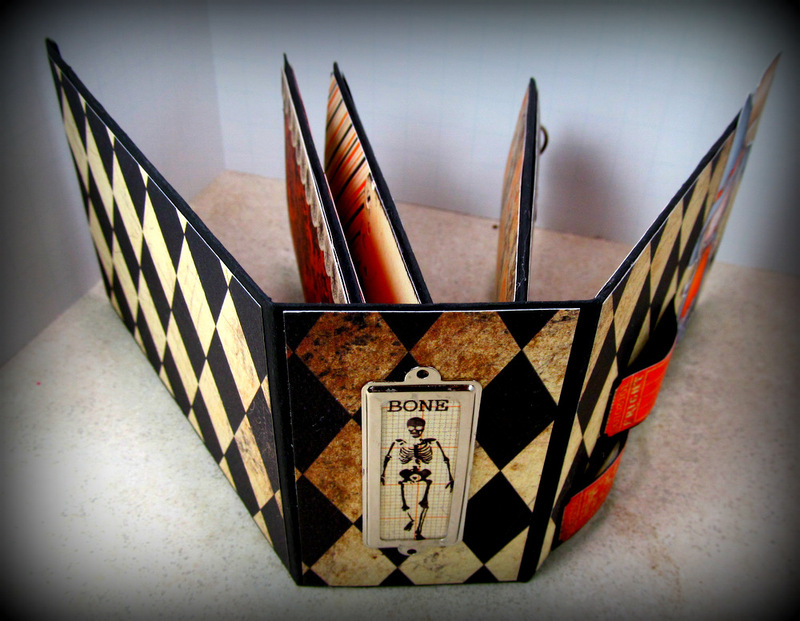 Fabulous little Halloween album just ready for all the fun pictures and journaling! Love your work, Monica! This is just really wonderful!! Took a little bit to find the toilet paper rolls - great idea. I hate throwing those things away. I'll have to try this idea. the album is wonderful. Halloween is a lot of fun. What a great way to upcycle! I love it! LOVE this book!! Spookaliscious!! TFS! LOVE your awesome book!!! So fun and spookaliscious!!TFS! Great job and thanks for the chance to win!! Your mini album is adorable! 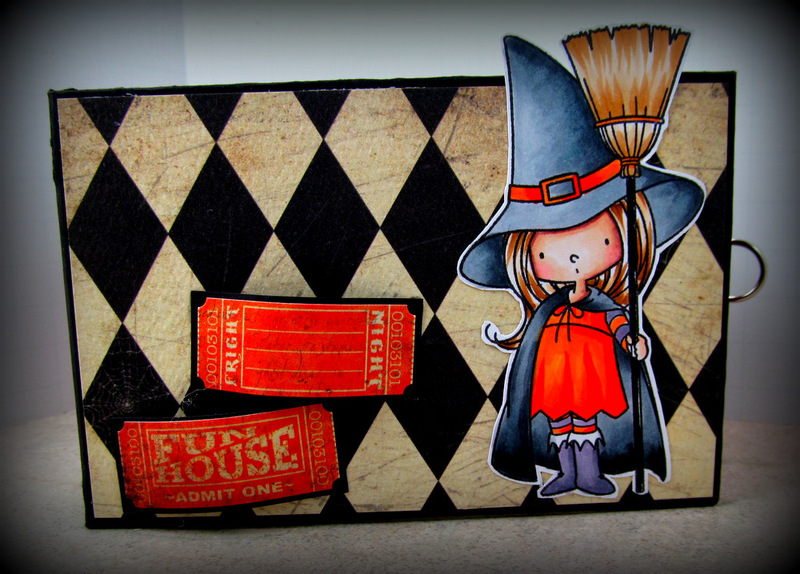 Love the adorable witch stamp you used on the cover! Great coloring! Gorjuss is just that! Thanks for the chance to try her out! Such a great Halloween book! Thanks for a chance to win! This is wonderful! I love the way you decorated all of the pages. Great job and super cute! 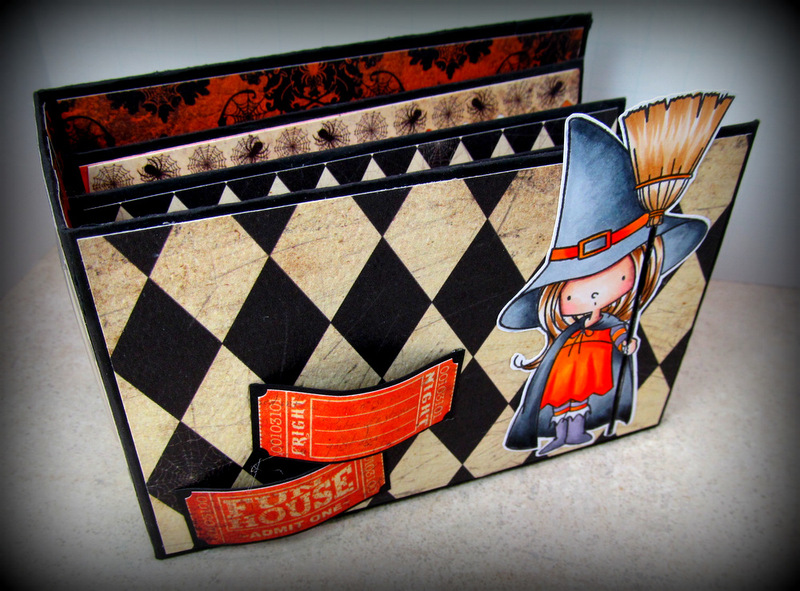 LOVE the WITCHY cover and pretty pocket pages!!! 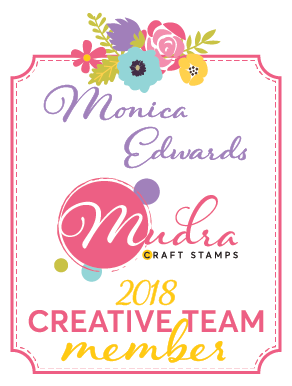 THANK YOU for sharing your CREATIVE INSPIRATION and the chance to win some CRAFTY AWESOMENESS too!!! 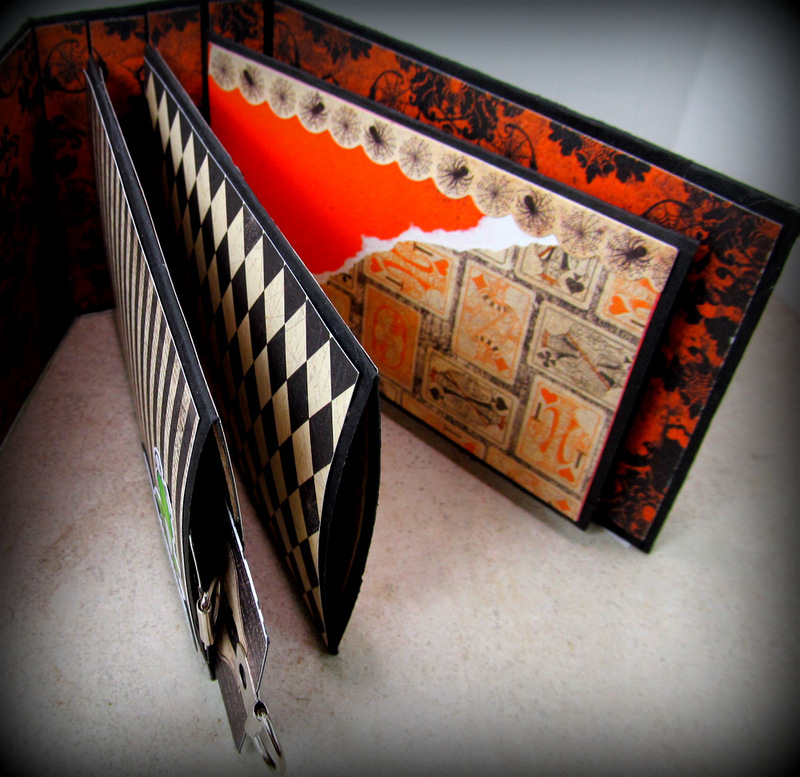 Beautiful mini album! Thanks for the inspiration!